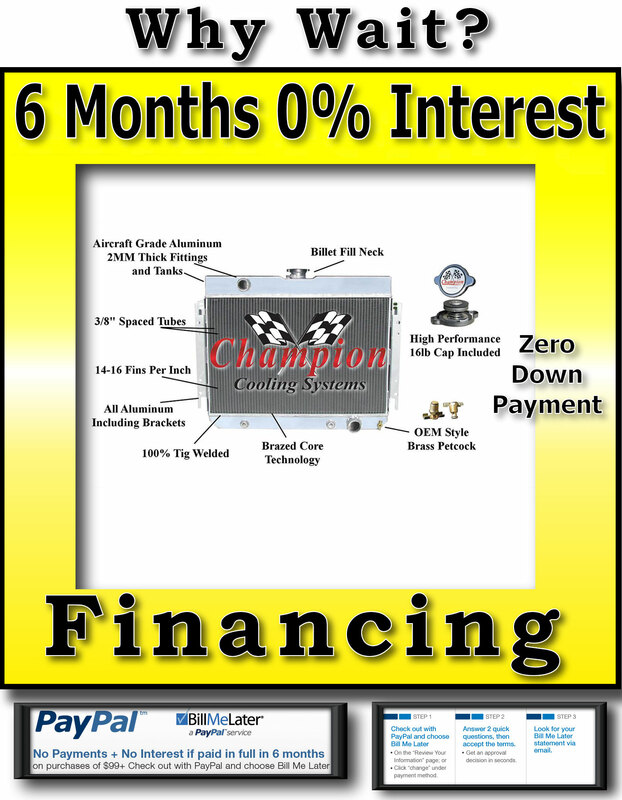 Click the button below to add the 1963 1964 1965 1966 1967 Chevy Chevelle 2 Row Aluminum Radiator + Dual 12in. Fans to your wish list. 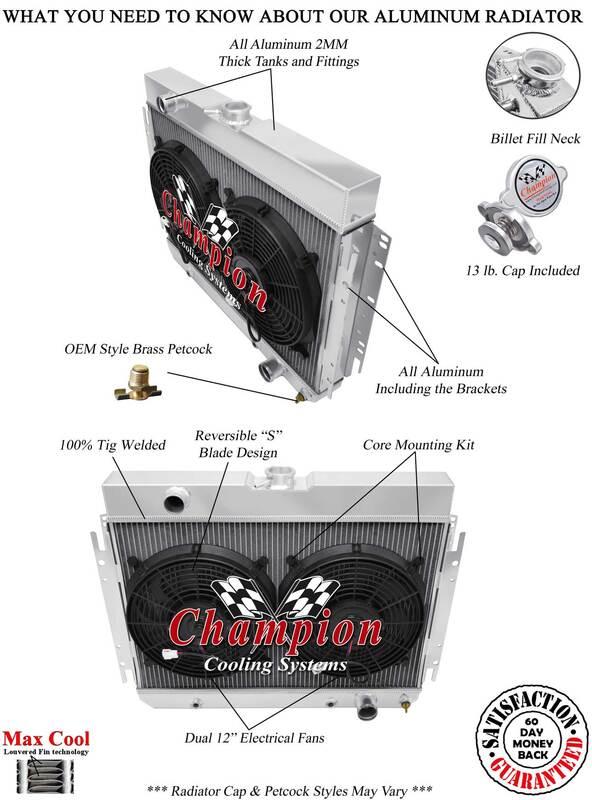 Plus Dual 12 Inch 1200 cfm Electric Fans = 2400cfm!For 1963-68 Chevy ModelsCapriceChevelleBel AirBiscayneEl CaminoImpala / SS Will Cool Up To 550hp...Guaranteed! Overall Dimensions: 21 1/4" high x 27 3/4" wide (including brackets). With Dual 12" Electric Fans . 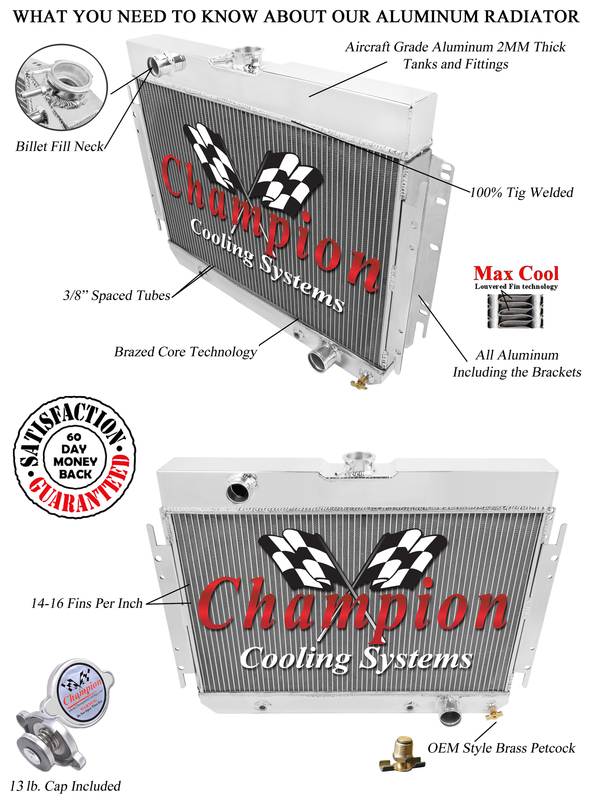 You could easily spend $400-1,000 for a 2 row radiator of similar quality.Buy with Confidence.